Colourful and engaging images with the illusion of depth. Select your preferred design below. These 3D posters provide an illusion of depth and are a great tool for long distance fixation. 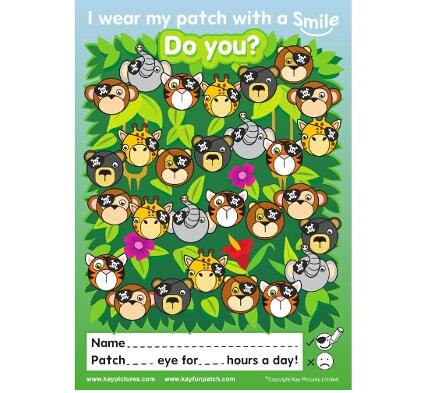 They can also be a great feature for your waiting room or clinic setting to interest and entertain young patients prior to their eye test. The 3D posters are A3 in size and you can choose between many vivid designs such as a roaring T-Rex, cute bunnies, a colourful universe display and many more. We offer further popular fixation tools such as the spinning lights.